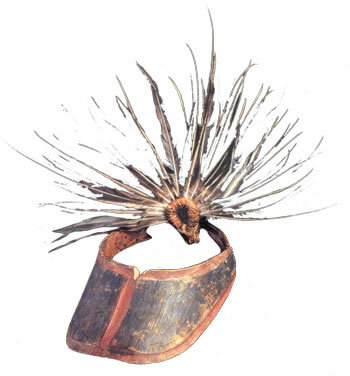 Bentwood hat collected by Sheldon Jackson, 1893. 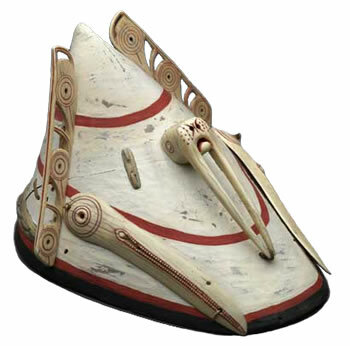 The white color and pointed shape mimicked floating ice, which hunters sought to resemble as camouflage. Wassilie Berlin noted, "This carved walrus was what men wanted to be available when they hunted. These look like gull beaks since gulls are also ocean creatures." 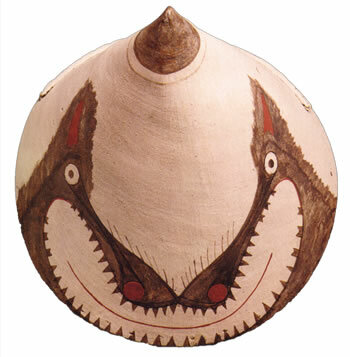 Bentwood hat from the Kuskokwim. Frank Andrew said: "They used those for seal hunting. He would tie his hat on top of the kayak sled. 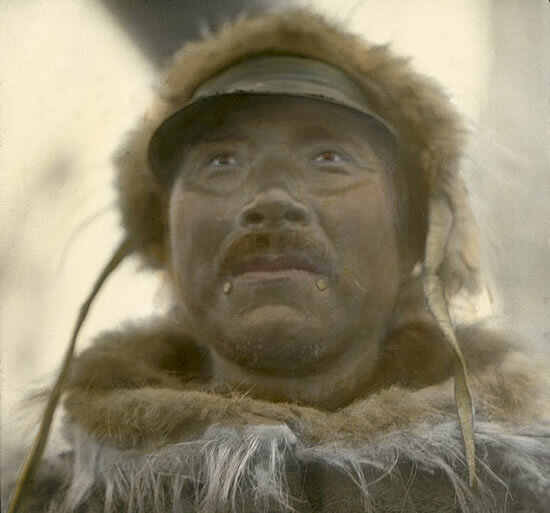 If he saw a seal on the ice, he would put on the hat and approach it." 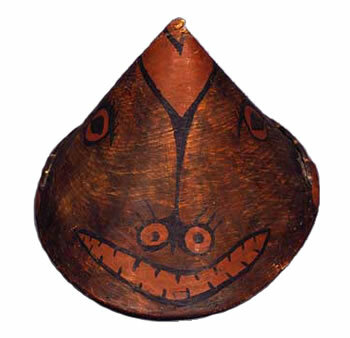 Bentwood hat with wolf face. Paul John said: "This hat is a submarine! You can breathe in front when water crashes over your head." Hunting visor decorated with pintail feathers and painted black inside to reduce glare. 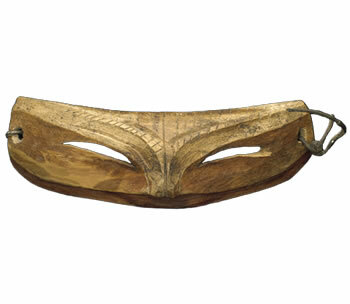 Frank Andrew said: "Wooden visors were also worn in summer. Even elderly women used them to avoid getting irritated eyes." 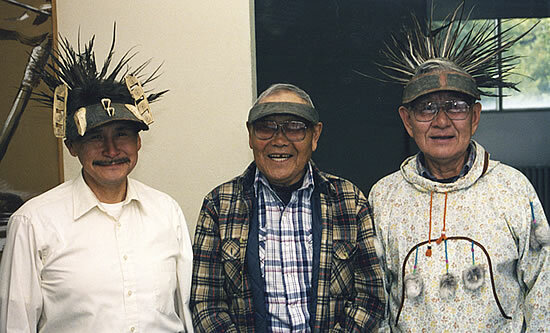 Andy Paukan, Wassilie Berlin, and Paul John model hunting visors at the Ethnologisches Museum Berlin in 1997. Hunters today use baseball caps. Photo Man wearing hide visor and ivory labrets (lip ornaments). Paul John said, "When they didn't have glasses made of glass, these were our ancestors' glasses."